On a personal note it’s been a bit of a tough year, i work full time and help my husband run his business, ok, not so much help, I run his business and he goes out to do the work! But it’s been a nightmare this year, we took on some new employees and then brought in the work to help pay for them only for them to leave, and since then we’ve been pretty much chasing our tails behind on jobs etc. And too busy to take on more people, it put a huge strain on my husband and me but we made it to the end of the year without divorcing each other, just! I put it down to crochet, as the stress of his business increased my hook started to move faster and my yarn stash got bigger, and boy I really have created some beautiful things and I’m proud of me, even if I do say so myself. I’ve always been known for having a short fuse and stressing about things when there isn’t anything to stress about, that fuse seems to be a lot longer now and I generally feel a lot calmer in myself, again I put it down to crochet. It still amazes me how with just one hook and ball of yarn I can make something beautiful. I’ve pushed myself too, I’ve looked at projects that look complicated and where normally I would not even attempt to complete them this year I’ve really gone for it I’ve started them and completed them and felt a real sense of achievement. 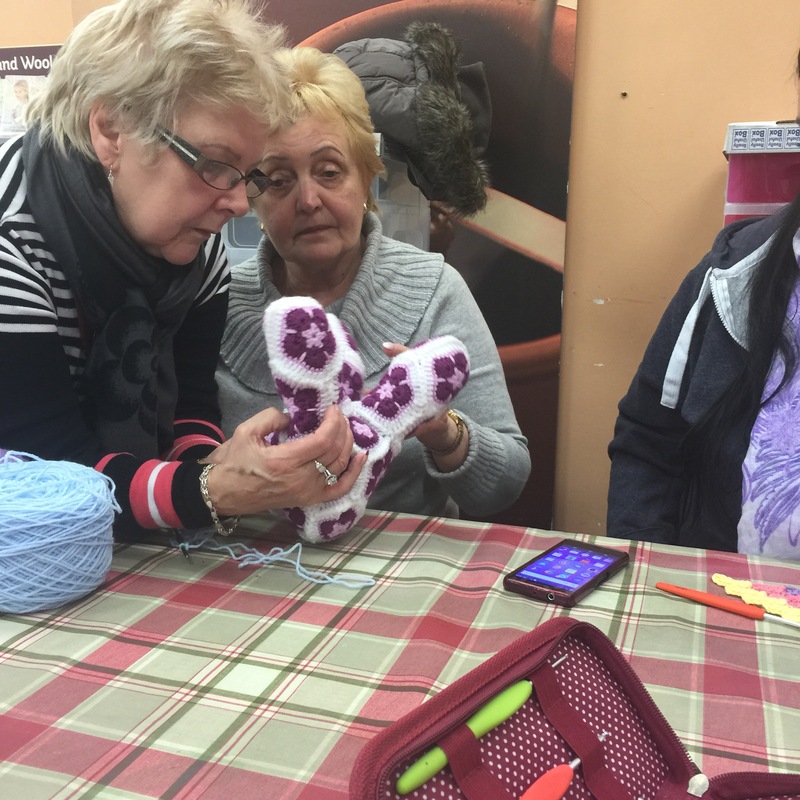 I started a crochet group at hobbycraft and doubted myself, I didn’t think people would turn up, but there has not been one week where I’ve been sat on my own, even on Christmas Eve and New Year’s Eve! I’ve made what I would call real friends at our little group they’re all so lovely, we help each other with crochet problems, enable each other to increase our yarn stash and we have a laugh, it’s not my group it’s ours and I look forward to it every week. I’ve taught my sister to crochet, like wow! Now that is amazing, she’s doing so well with it! She loves anything with repetition and she too feels a lot calmer which is good. 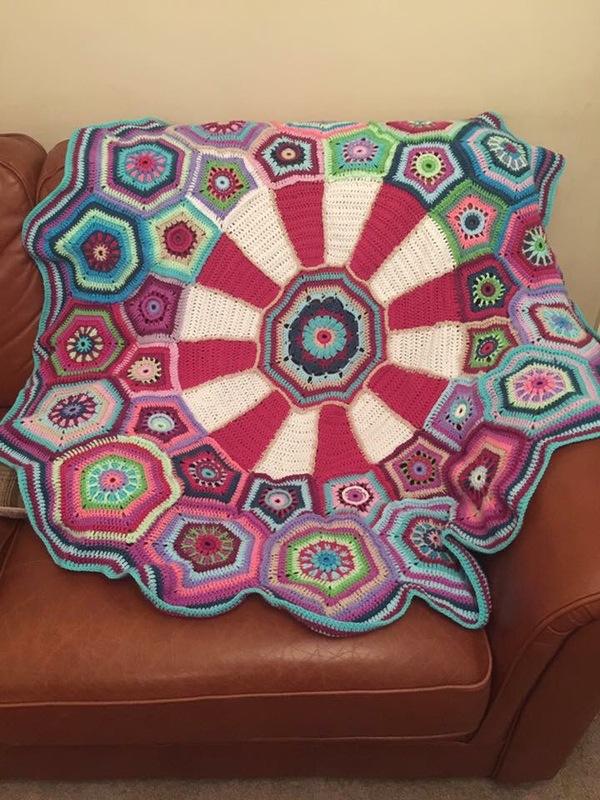 I think what crochet has given me this year is time for me, time to switch off, to create, push myself and give, I love giving things away to those that really appreciate it. 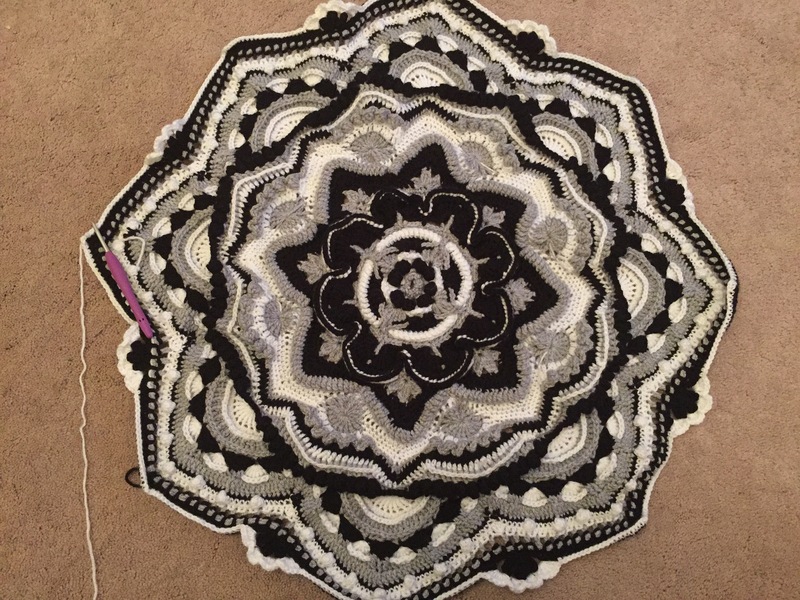 My biggest crochet accomplishment this year has to be my mandala madness, and I’m no where near finished with it yet, it never gets boring, it’s beautiful and I’ve made it. Anyway, I’m a little superstitious, we didn’t see 2015 out and 2016 in with a bang, so after this year we will be seeing 2016 OUT and 2017 in with a family party, best go and sort myself out! Happy New Year to you all and thank you for taking the time out to follow me. Crochet is wonderful. In fact any type of craft is wonderful. 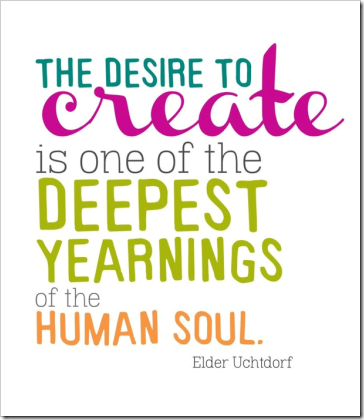 Taking time to do something you enjoy and to create something from scrafch can be really empowering! And dont forget about the blogging side as well! For me, the blogging is also good for my mental well being, as when i create something then share it with the world, wether its a pattern, a recipe of just some pretty pictures, it makes me feel like i could be helping someone else – inspiring someone to create for themselves. Heres to a wonderful new year!